I don’t really remember learning how to knit because it was before my fourth birthday. I do remember sitting with my Granny on a plaid couch on the very edge of the cushions so my feet could reach the floor. The knitting needles were red plastic, I don’t remember the yarn, I do remember the miracle of stitches. Pushing the needle carefully through the front of the stitch, wrapping the the yarn around and pulling it through. That feeling of making those first few stitches has never left me. It brings to my human experience focus, thoughtfulness and creativity all wrapped in one. There is a beginning and an end for each stitch. When you get it right you can see it when you get it wrong it is obvious. I am not a person who likes to sit much. I have spent much of my life running around making things happen stopping when I slept. 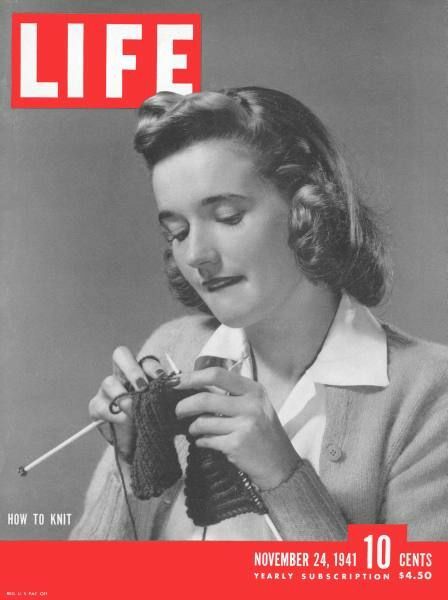 Knitting was found time, usually in the early mornings before the house was awake or after everyone had gone to bed. I wish I had allowed myself to knit more. The calm and the focus would have been a good juxtaposition to the chaos and fullness of my life. I knit now. I am teaching myself to sit so I can knit, I knit on planes, in cars and when I need to wait for others. I fill beautiful bags with knitting projects and have them ready when I want. I knit for business which really fits so now when I sit I am really creating on many fronts. I invite you to learn to knit or crochet. Do it for yourself. Engage in a creative process that nourishes body, mind and soul. Come and discover how with careful thought and movement things are created one stitch at a time.